Remote access to data by Property manager. Property Manager capable of running reports from own office. Security Operations & Solutions, Inc. will provide a data collection system that combines the latest in touch memory chip technology with the extremely durable Data Collector and Windows based software. This effective combination offers easy, point and click menus that produce timely and valuable reports such as Tour Reports, Exception Reports and Incident Reports. Installing chips in strategic locations can create a security tour that maximizes your security officer's presence, protects your assets by continued, documented checks and tracks the time/date of all tours. 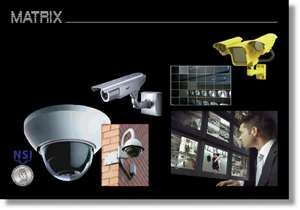 Security Operations & Solutions, Inc. has the capability to install cameras at your community's entry point. Cameras could be mounted on the inbound and outbound traffic lane. One camera could record the make, model and color of the vehicle and the second camera could record the license plate number. These cameras will work just as well in hours of darkness and inclement weather as they do in the daylight. Another Camera could be installed inside the gatehouse to monitor the gate attendant’s activity. There is the possibility of installing the inside gatehouse camera in a position to record both the gate attendant and the driver of inbound vehicles. The property manager will have the capacity to monitor both vehicle and gate attendant activity from their office in both real time and recorded periods. Security Operations & Solutions, Inc. will provide Access Control Technology upon your request. The following options include Technology that is web based software and allows residents to directly manage their visitors, contractors, etc. through the system at the communities’ entry control point. Again, SOS will provide all hardware and software, to include training for all security officers, gate attendants, access control monitors and property managers.